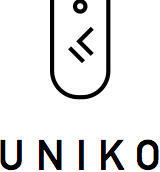 You're invited to experience UNIKO, a new pop-up restaurant concept designed for lovers of uni, or sea urchin. The omakase-style six course menu developed by Chef Francis Maling highlights uni as a central component of each dish. On August 5th, we are partnering with our friends at Parlay in Sunset Park, Brooklyn, to open up 15 seats for UNIKO's first public event.